average of $59 a month. The person next door spends an average of $59 a month. On average, Idahoans are paying $1,195 every month on homeownership costs. There are 1.8 million homes in the Gem State, 69% of which are occupied by owners. Located in the northwestern region of the U.S., Idaho is known for its breathtaking mountainous sceneries. Idaho is a state with cheaper real estate as compared to other coastal states. There are not many natural disasters either, so it has one of the lowest home insurance rates in the country. The rates stayed low even when catastrophic wildfires damaged a lot of homes in northern parts of the state. The reason is that wildfires are rare and more controllable as compared to the unstoppable natural disasters that occur in the Gulf states. Even if the rates are low, it is important to research the best insurance companies, weigh the pros and cons of each and then decide which insurer gives you the best deal. There are many providers here in Idaho, popular homeowners insurance companies based on their market share holdings in the state are State Farm, Liberty, and Farmers, to name a few. While insurance premiums are on the rise each year, currently, the average annual insurance home premium an Idaho homeowner pays is $703, according to III, which amounts to $59 per month. Compared to the national average of $1,192, it is $489 cheaper than the amount the average American pays for their home insurance per year making Idaho one of the cheapest states to insure a home in the U.S. These numbers are important to note while shopping and comparing for rates even though your own quote may fall below or above ID’s average. Premiums are calculated on an individual basis so there is no set number to go by as the location of your home and the conditions in which this location is subjected to will impact your quote. It’s good to know though, that in 2016 (latest available data by III) the average homeowners insurance premium was at $703 for ID homeowners, so if your quote falls above this number, it’s time to question why it is higher. For example, it may be that you are in a high-risk area that has a history of multiple claims due to disastrous events or more simply, the insurer isn’t giving you a good enough deal. To select a provider which gives you the exact coverage you need and that will pay when time comes that a claim is filed, you need to look for financial stability, endorsements, claims payout history, coverage options and add-ons. Customer support, online tools for quote search and agent availability are also important factors. We listed three insurance companies in Idaho that we’ve researched to have great record in terms of the mentioned factors above. We are not able to review all home insurers in Idaho so it’s possible that a company not mentioned in this article will be better suited for your needs in terms of price and coverage. Doing a little research will go a long way, read up on your prospective insurers before committing. Allstate, along with State Farm, is present in many states across the US and has a huge market share in the entire country. The biggest advantage that keeps it at top of the insurance game is its discounts and affordability. From our research, Allstate offers a good bargain, at as little as $334, which is excellent considering the competition whose usual quotes are around the state average of $700. There are many discounts you can get with Allstate such as a claim-free customer discount, first-timer discount and autopay. 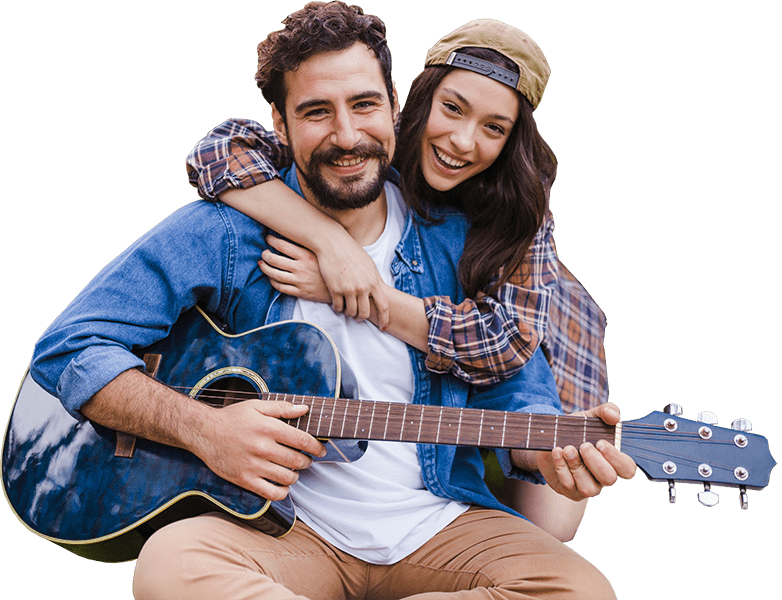 There is a bundling discount as well, which goes as high as 30 percent if you go for both auto insurance and home insurance. You also get quite a handful of coverage options to choose from such as water backup coverage for water damages, green improvement to cover costs for upgrading to energy-efficient systems and identity theft coverage in the form of legal fees and document replacements. Its website contains tools that provide auto loan calculation, link you to contractors and other features which assist you in getting a quote. With a score of 80/100 from Consumer Reports and 3 (About average) out of 5 Power Circles Rating from JD Power, you can trust Allstate for the most part. State Farm has consistently been one of the best insurance providers in the country, keeping a hold on the largest home insurance market share in Idaho. It covers a wide variety of homes such as condos, mobile homes and apartments. On top of that, it offers an excellent number of add-ons for specific home types that are common in Idaho. It boasts a rating of A++ (Superior) from AM Best, which is their highest possible rating for financial strength. This means that you can always expect a reasonable claim to be paid, which is arguably the most important factor when looking for an insurer for your home. Their website structure can be better. The HomeIndex Inventory tool, for example, is not easily accessible on the website, even though it is crucial for finding a good quote. The tool lets you see all coverage options you have selected in a quote. Each coverage option has a claim option, which you can select to instantly file a claim without any need to contact a hotline. The JD Power Circle Ratings given to State Farm is a 3 (About average), taken from their 2018 U.S. Home Insurance Study. They’ve averaged out results based on consumer satisfaction regarding policy coverage, affordability, customer service, etc. The live chat with a company representative is informative and guides you through the different policies and coverages. This company was founded in 1912 and has been serving its customers ever since. It scored a rating of A (Excellent) from AM Best and A (Strong) from S&P. Furthermore, the JD Power survey shows its customer satisfaction at 777 out of 1000. During 2017, this company had a 13 percent market share. Like many other companies competing to serve its customers, Liberty Mutual offers discounts along with insurance policies. You are eligible for these discounts if you have protective devices installed in your home, if you have purchased a new house or if you go for bundle offers like home and auto policies together. This company is also popular with its customers because of its agent locator. This feature even allows you to know which language the agent speaks and about their availability and contact. Along with coverage for your property, you can have add-on protection for your valuables, water backup, and inflation protection. Like with State Farm, you can buy policies from Liberty Mutual online, but for that purpose, you must know specific details about your home like its construction and renovation. Being the third highest market share holder in Idaho, Farmers is popular because of an extensive range of coverage options and endorsements. It provides special coverages for specific groups such as military personnel and other professional groups. Its prices are rather expensive compared to Allstate and State Farm, going as high as $850. However, the real value lies in the Farmers Smart Homeowners Policy. It is an extended policy that, along with providing basic home insurance, gives you benefits such as claim forgiveness (removing a surcharge if no claim has been made for six or more years). You can add some separate coverages as well such as identity theft coverage (credit monitoring and document replacement) through Identity Shield. This company works with an extensive network of agents and has comparatively fewer cases of customer complaints. Farmers can help you determine the possible risk of wildfires with the help of its unique risk calculator. This process enables you to get the perfect blend of coverage that is suitable for you with an affordable rate of premiums. Furthermore, there is a program offered by Farmers, which allows a preceding claim to be absolved after six months without another application known as claims forgiveness. Another fantastic feature offered by Farmers is cosmetic damage coverage, which helps in the cosmetic restoration from wear and tear which occurs over a long period of usage. The website is not the best at meeting a potential customer’s information requirement as evident from the JD Power rating of 3 “About average.” You cannot find a quote tool on the website, and you will have to connect to an agent to get quotes and policy information. AM Best gave Farmers an A (Excellent) rating, which indicates decent financial strength to support claims. With an annual average home insurance premium rate of $703, Idaho homeowners enjoys one of the cheapest in the United States. Nationwide, the average premium rate is $1,192. 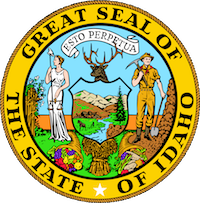 Approximately 69 percent of homes in Idaho are owner-occupied. That number exceeds the national rate of 63 percent of owner-occupied homes. In this state, 27 percent of mortgaged homeowners spend 30 percent or more on expenses related to home ownership. About 42 percent of renters in Idaho spend 30 percent or more of their income each year on costs associated with rent and utility payments. The companies we listed are some of the best in Idaho according to parameters that we deem are crucial for insurers to perform well in, the most important of which is claims payout abilities and affordability. Like other states, residents can save money on Idaho home insurance costs. To start, you can consider to choose to increase your deductible, which is the amount you will have to pay in the event of a loss before your insurance takes over. Since Idaho is subject to certain weather conditions year-round, there are several considerations to keep in mind when shopping for home insurance plans. Statewide, wind and hail damage is responsible for the highest rates of loss each year. Loss from water damage and freezing pipes is second, followed by general property damage, theft, and lastly, damage from fires and lightning strikes. You may be able to save some money on your premium by taking measures to reduce the risk of loss associated with these events, such as insulating your pipes and heating your home in the winter. Like some states, insurance providers in Idaho are not required to offer damage protection from flooding. Therefore, you will have to obtain coverage additional coverage or obtain one from the National Flood Insurance Program. In Idaho, insurance rates usually vary depending on what type of structure you live in. Premiums are typically lower for standard single-family residences than they are for farms, ranches, and manufactured homes. Regardless of dwelling type, however, you will be eligible for discounts by having certain standard safety features and preventative mechanisms in place. Many companies offer discounted rates for policy bundling, which means that you pay a lower premium rate if you use the same company for home and car insurance. If your home has working smoke detectors, a fire extinguisher, and an alarm system to deter thieves, you will likely have a lower premium rate. Idaho insurance companies reward smoke-free homes with reduced premium rates, as residential fires caused by smoking are one of the leading causes of loss in the state and nationwide. You may also qualify for a lower premium rate if you have recently had your home inspected or if you have recently replaced or renovated your roof. Residents are eligible for home insurance rate discounts if they make efforts to reduce their carbon footprint and improve the environment. This is referred to as a "green" home efficiency renovation. When searching for the best insurance plan that meets your budget and requirements, be sure to ask if certain losses are covered, such as damage from windstorms and hail, frozen pipes, and water damage from plumbing or air conditioning. You can also ask about the extent of coverage for your personal belongings, such as antiques, jewelry, and treasured collectibles.